Breck is a private pre-K-to-12 school that emphasizes social responsibility—an education made possible through the generosity of alumni, parents, grandparents, and friends. 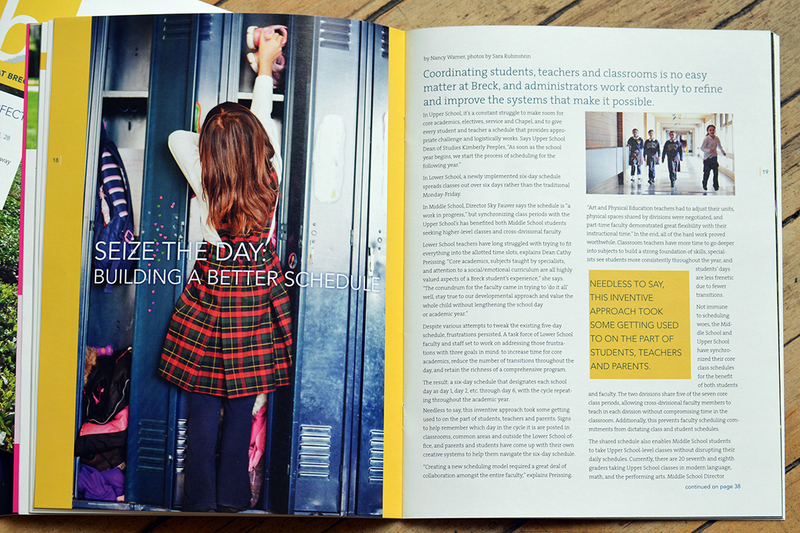 We helped Breck position their message to link the energy and values of the school with the critical role donors play in Breck’s success. 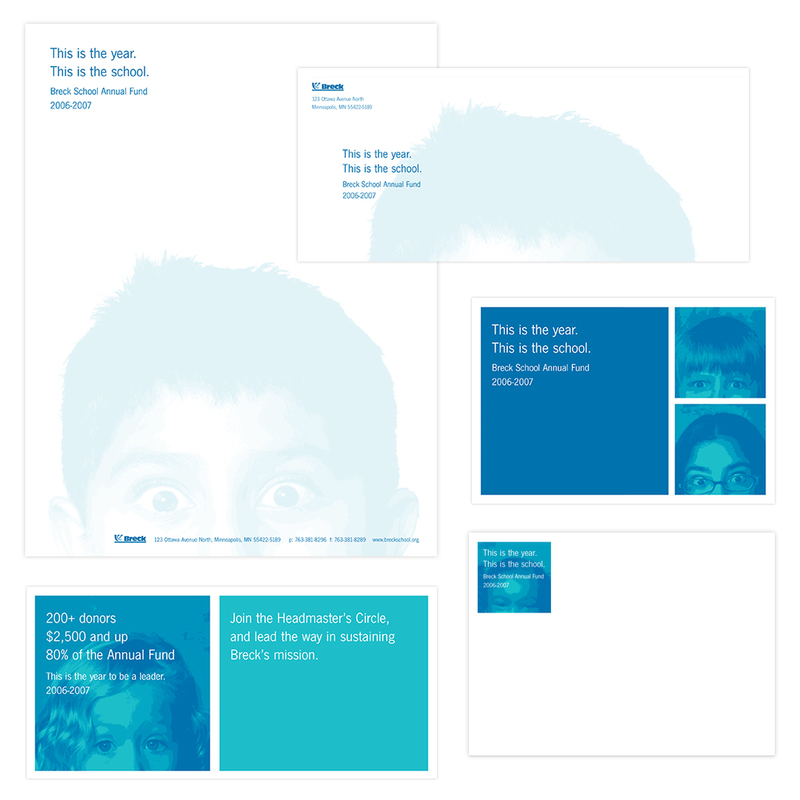 Today at Breck: We helped Breck take their old-school two-color newsletter and create a quarterly publication that leveraged design and professional photography to connect with their readers in a deeper, more emotional way. You are Here: This theme places the donor at the heart of every Breck student’s success. Not Exactly Rocket Science: Here we boil down the complexity of providing a Breck education to one simple equation: the annual fund = Breck’s success. This is the year. This is the school. Since the annual fund is critical to the school’s bottom line, we used students and numbers to remind donors of the immediate need.